Anton Galenovich , co-founder and product designer of DAO IPCI joined the 5th Seoul Climate-Energy Conference, speaking on the advantages of blockchain solutions for green finance and climate preservation. "For many cases blockchain is not needed at all, for some it is indispensable and should be public, programmable and“trustless”. Blockchain by its core properties is the most suitable technology for carbon pricing initiatives and their integration", he pointed out in his keynote speech. "Transfer of carbon and other environmental markets to the new public blockchain paradigm cannot occur overnight. It is high-time to start building portals from existing systems, disintegrated, often overcentralized, non-transparent, in some cases susceptible to pressure, corruption and falsifications, to new universes, to leap to radically new climate policy ambitions", he concluded. Mr Galenovich offset his carbon footprint for Seoul travel using the recently-designed CO2 calculator. Carbon offsets have been verified, issued and burnt in DAO IPCI blockchain DApp (needs MetaMask extension to work). The calculator will soon be available to all the participants of COP24 in Katowice, Poland. Seoul Climate-Energy Conference (Seoul CEC) aims to impact global policy-making and enable the international community and leaders to better deal with the most pressing challenge of our time - the climate change. The event was first launched in 2014 by the collaboration between KAIST Graduate School of Green Growth and Coalition for Our Common Future. Seoul Climate - Energy conference is one of the most prestigious international events dedicated to sustainability and green development. World’s leading experts, business leaders and policy-makers unite and exchange ideas on countering climate change issues and developing climate resilient society. 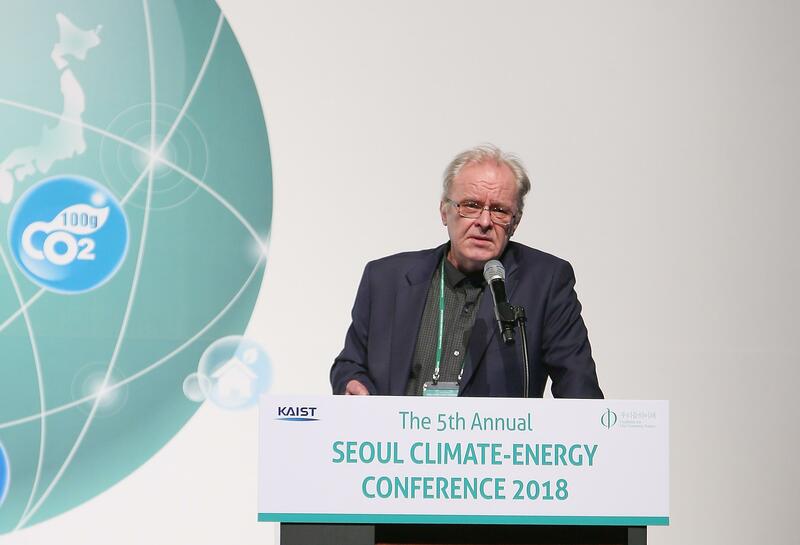 Seoul CEC is the 1st international conference in Korea that employs interdisciplinary methods specifically focusing on climate change and energy issues.